Do Canadian venture capitalists see crowdfunding sites as a competitive threat? There are rumblings of that sort in the American investment communityand now, some of those fears appear to have crossed the border intoCanada. During a webinar held Wednesday on the latest efforts to legalizecrowdfunding in Canada, a member of the lobbying movement from Quebecsaidsome concerns are being expressed in that province. “Some VCs might see it as a threat…We’re going to program someeducational events to clear out any misconceptions or at least triggera constructive debate,” said Diana Yazidjian, Quebec vice-president forInvest Crowdfund Canada (ICC), anational initiative pushing forcrowdfunding legalization. Prominent U.S. venture capitalistFred Wilson worries that crowdfunding will diminish the influence ofVCs. ICC is an umbrella group whose members include iCanada, the CanadianAdvanced Technology Alliance, Helix Commerce, Fraser Milner Casgrain,Stellar Learning Strategies, and IT World Canada, the publisher ofITBusiness.ca. ITBusiness.ca contacted both the Canadian Venture Capital Associationandthe National Angel Capital Organization for comment on whether theirmembers have concerns (competitive or otherwise) about equitycrowdfunding, which allowsstartups to raise equity financing throughsocial media channels. Neither group has responded so far, but ifthey do, ITBusiness.ca will update this story accordingly. South of the border, some prominent venture capitalists and media siteshave mused about the potential impact U.S. VCs might feel fromcrowdfunding,which was recently legalized there under the JOBS Act. 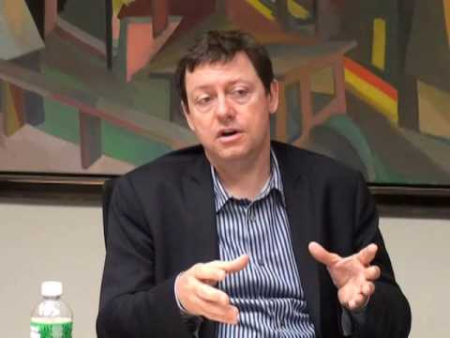 Fred Wilson,managing partner of Union Square Ventures in New York City, madeheadlines in May by suggesting during abreakfast event that theinfluence of VCs on the startup ecosystem will shrink as crowdfundingfloods the market with startup funding. Here’s Wilson’s math: if Americans collectively invest just one per cent of their net worth in startup ventures through crowdfunding, an extra $300 billion in financing will be available to startups each year. That will dwarf the $30 billion that VCs now raise annually from banks and other large institutional investors. Therefore, he argues, VCs will have less sway over the kind of startups that get funded, the dollar amounts disbursed, and even how startups use the money they get. Wilson’s opinion grabbed a lot of attention because he and his VCpartnerBrad Burnham were early investors in Twitter, Tumblr, Foursquare andZynga. Competition or complement to VCs? American blogger Jeff MacAulay has suggested thatcrowdfunding willmake “incubators the new VCs.” Why? He points out that crowdfundingprovides startups with money, but not advice, mentorship orconnections. He predicts startups will take the money they raiseon crowdfunding sites and look for those advisory and networkingopportunities at incubators and accelerators instead of VCs. For ICC and its member organizations, legalizing equity crowdfunding inCanada is key to innovation, commercialization and the ability ofCanada’s tech startups to raise capital. They say Canadian startupswill fall behind their U.S. counterparts unless crowdfundingislegalized on both sides of the border to level the playing field. Asvarious ICC members explained in today’s webinar update, many inroadshave been made in the past few months to work towards legalization,including the recruitment of new supporters across Canada – such as the MaRS Discovery District in Toronto – and key connectionsmade with various provincial government and/or securities officials. What do you think? Will equity crowdfunding give VCs and angels a runfor their money (literally) if it’s legalized in Canada? ChristineWong is a Staff Writer at ITBusiness.ca and CDN. E-mail her at cwong@itbusiness.ca,connect on Google+,follow her on Twitter,and join in the conversation on the IT BusinessFacebook Page.